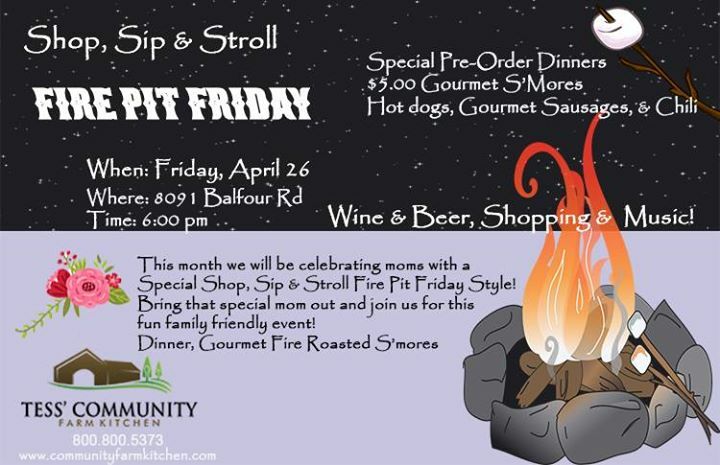 This month we will be celebrating moms with a Special Shop, Sip & Stroll Fire Pit Friday Style! Bring that special mom out and join us for this fun family friendly event! Dinner, Gourmet Fire Roasted S’mores, Wine & Beer! Keep Watch for our announcement of dinner choices! *Doors open at 6:00 pm and dinner service starts at 6:30 pm!